What makes a great civic building? 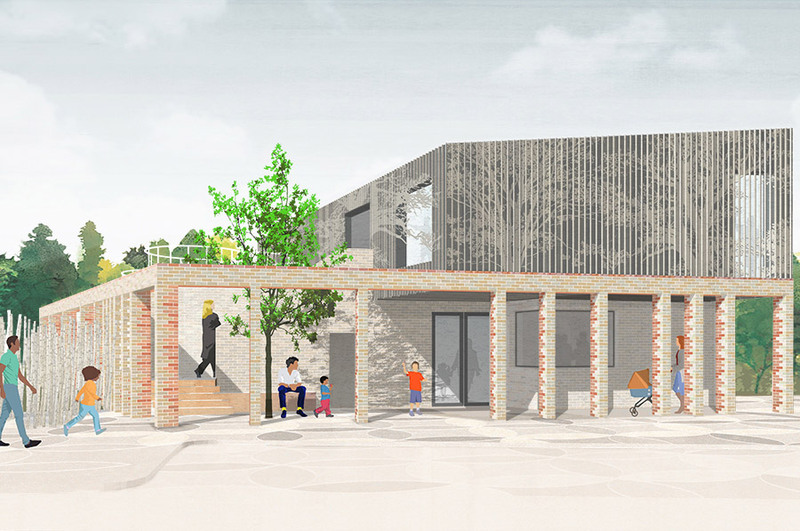 This was our starting point for designing a new nursery and community centre for West Green Place, an invited competition for the developer Pocket. 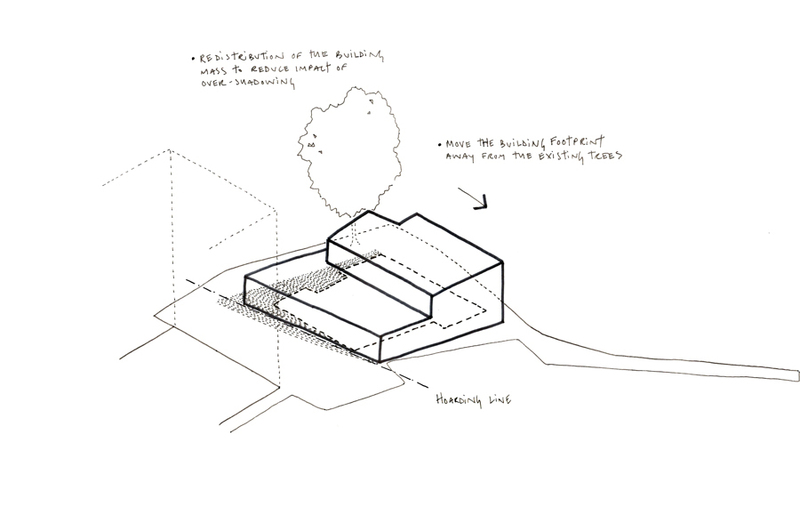 We were interested in how this notion of ‘the civic’ could be manifested in contemporary architectural expression to create a building which is both embedded in the place and responds to the needs of differing community groups. Our initial inspiration for this project came from both the site and its position between the new residential development and the adjoining woodland park, and the building references in its choice of materials; primarily brick and timber. A brick colonnade wrapping the building hints towards its civic function and straddles the public approach. 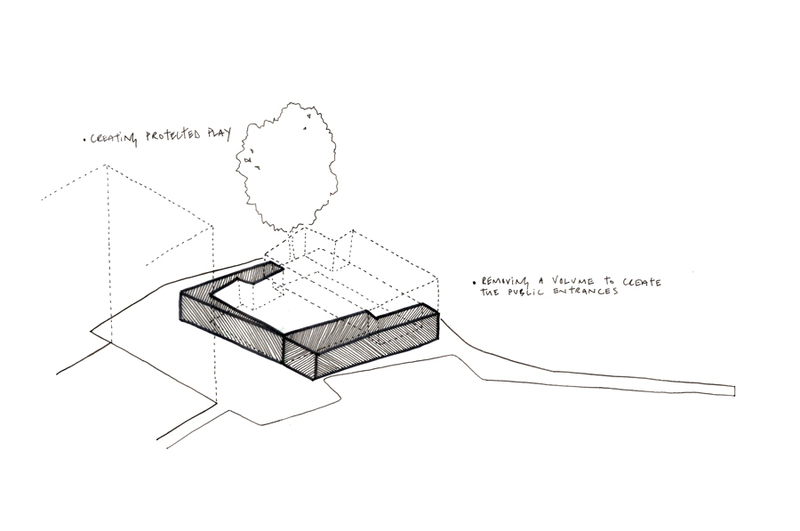 An external courtyard forms the reception and leads to either the nursery at ground level or the community hall on the first floor via a brick stairwell and public bench. 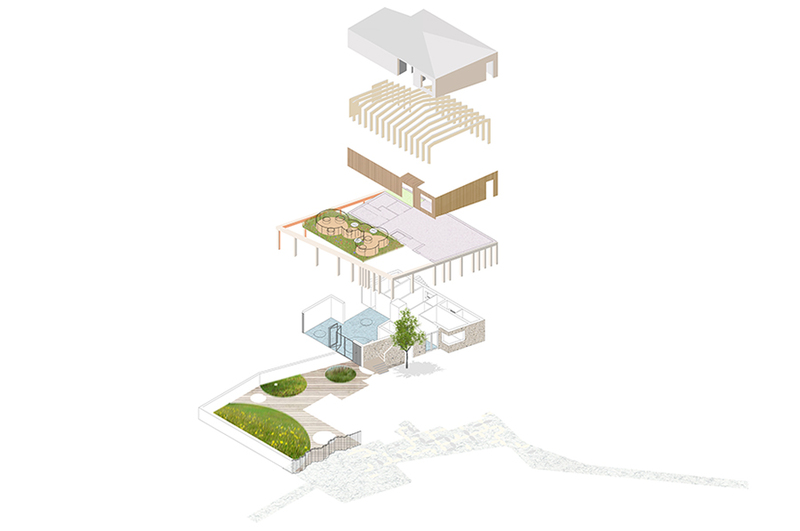 External spaces are comprised of a large playground and rooftop planting area for the nursery and a terrace overlooking the park for the community hall. 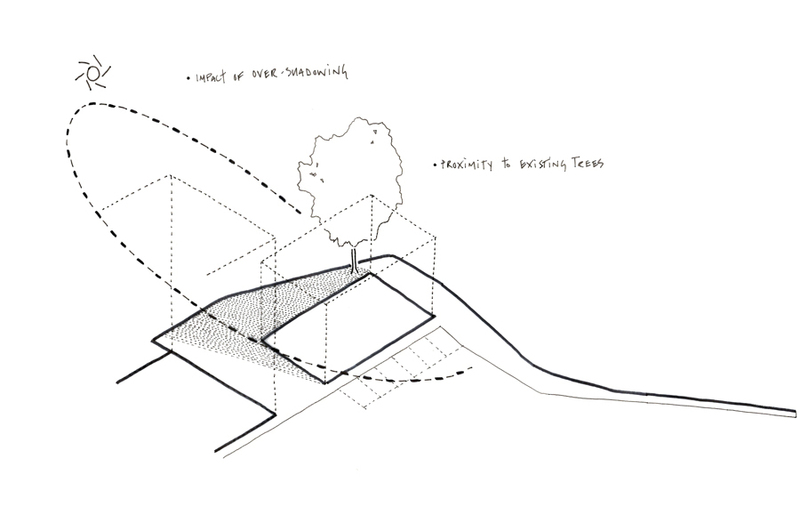 We likened the building to a ‘spinney’ – a clearing within a small cluster of trees. 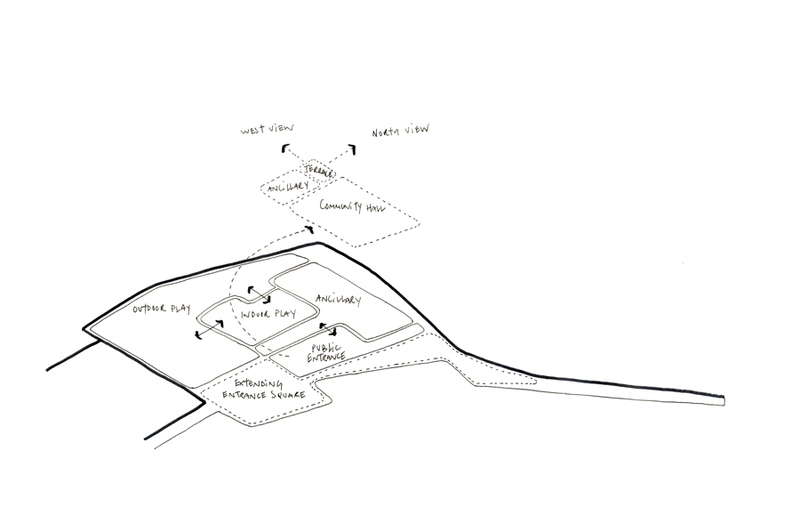 We were one of eight shortlisted practices to an invited competition, run by the Architecture Foundation for Pocket. We accepted the challenge as it responded to our strong interest in civic architecture; public buildings that are outward looking but also emblematic of a place. Many of our projects are about turning forgotten spaces into loved places, delivering something aspirational and exemplary for the public, that surprises and delights and is accessible to all. Our projects demonstrate how small-scale community-focused interventions can have a huge positive impact on the surrounding neighbourhood. This competition created an opportunity to test out these ideas on a wider scale. 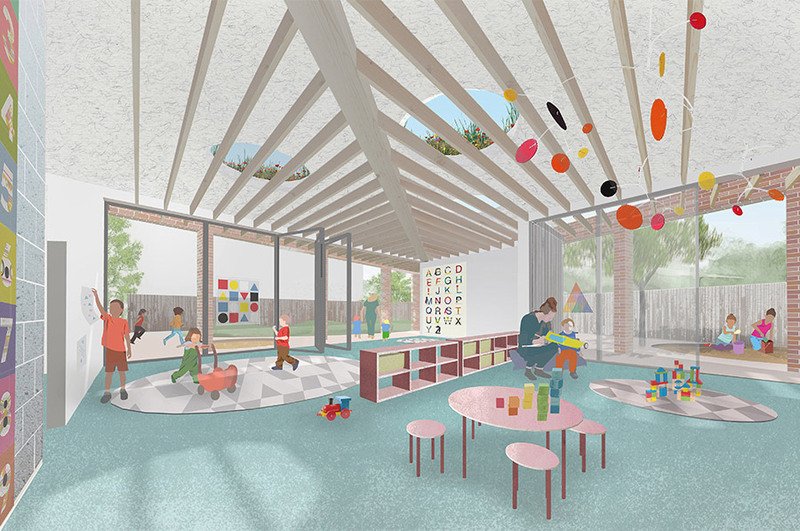 Materials were selected to respond to both the site context and the spatial planning of the nursery and community centre. Two-tone bricks reference local architecture and form a brick colonnade wrapping the core building and dressing the building in a civic ‘cloak’. Where the colonnade pulls away from the central volume, pockets of break-out space are created, forming protected play space for the nursery and, most noticeably, an external entrance foyer, faced in brick and leading either to the nursery reception or to the community centre located on the upper floor. The first floor is clad in vertical timber cladding, with an abstracted branch pattern charred into is surface in recognition to the building’s location on the verge of a mature public park. Timber is also used structurally, with exposed timber joists in the nursery and within the glulam structure employed to create a clear span within the community hall. 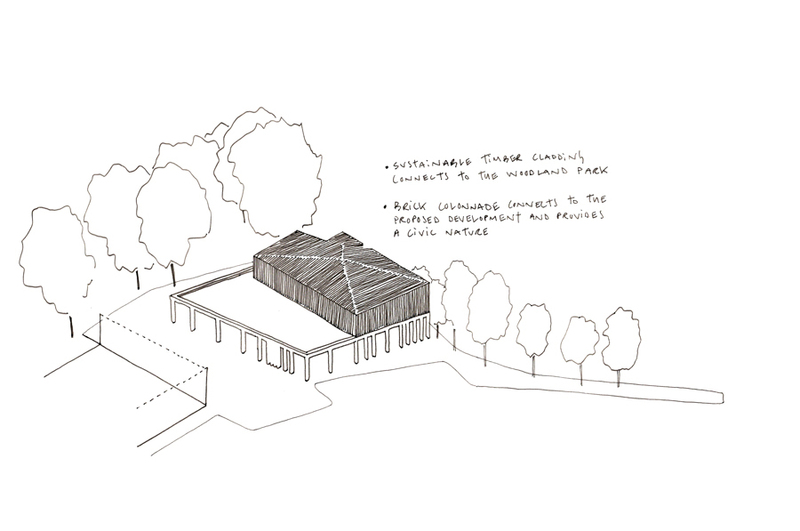 Views onto the park are maximised with the creation of a terrace for the community centre and green roof and decking area for the nursery, with a direct connection to outside play areas. The playground also promotes natural play, including sandpits, grassy mounds, a tree house and a wild planted area.